Artsplash is a fun community art centre, cafe, gallery and play park located on the main road in Hastings, opposite the Hastings Rocks. Artsplash provides creative and exciting activities for all ages. The Hastings Farmers Market is a great place to spend your Wednesday and Saturday mornings over the summer. 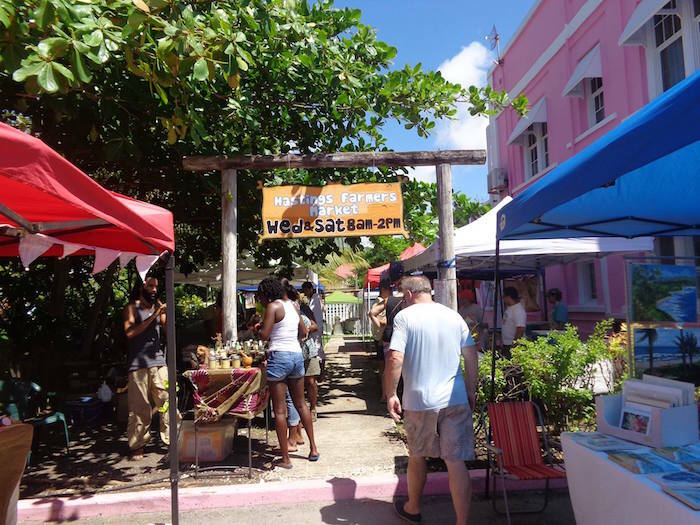 Local farmers sell fresh, organic fruit and veg and you will also find Bajan made arts and crafts. Open from 8am till 2pm. The cafe has an Espresso Bar serving the best coffee and gluten-free cakes, as well as healthy and delicious smoothies and juices. The cafe is open Monday to Saturday from 7am to 4pm. Bring the kids too – there is a play park with zip lines, climbing frames, jumping tents, an under 3 years play area, covered play section and a family friendly bar and restaurant. Artsplash provides creative and exciting activities for all ages, including a wide range of excellent art classes and birthday party packages.